"My Moody strap is amazing! Not only is it hand-crafted and beautiful, but it actually improves my performance onstage by providing me comfort and stability for my instrument. I feel like Superman with these straps! Theses beauties are in a class of their own. Not only has guitarist Neil Zaza helped to define the genre of melodic instrumental guitar, he has become a worldwide ambassador for the instrument itself. His melodic compositions have changed the way musicians play, and what audiences worldwide demand out of their guitar heroes. 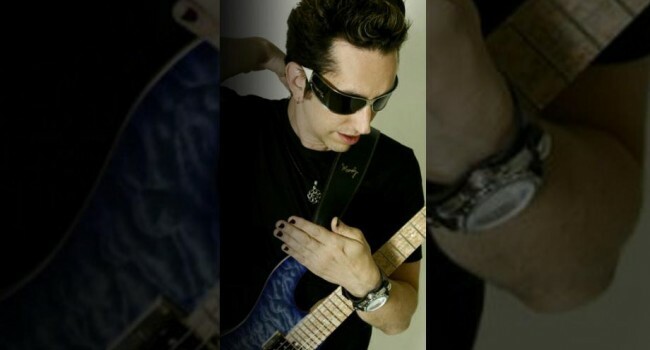 With fiery technical brilliance and breathtaking musical interpretation, Neil Zaza has defined himself as the instrumental guitarist with an unparalleled ability to combine solid, catchy songwriting with a keen melodic sense and technical fury. From his virtuoso rock solos, to laying a funk groove, to demonstrating his classical prowess by performing Bach and Mozart compositions, Zaza’s extreme versatility has been showcased worldwide in concerts, clinics, festivals, as well as on his own solo instrumental albums. Zaza has shared the bill with Joe Satriani, Steve Vai, Dweezil Zappa, Steve & Mike Porcaro (Toto), Yngwie Malmsteen, Vinnie Moore, and Andy Summers among countless others. He has performed on albums by Dweezil Zappa, Eric Carmen, Michael Stanley and also supplied guitar tracks for a Stewart Copeland-produced movie soundtrack.